Throw on your best greenery, paint a Shamrock on your cheek, and drink inappropriate amounts of Guinness; it’s St Patrick’s Day. In honour of Ireland’s biggest celebration on 17th March, London is throwing a fair few shindigs. From parties to parades and everything in between, here’s what’s on and where to go. It’ll be great craic. Guinness has joined forces with London Beer Week to bring a taste of the latest experimental brews from Dublin’s Open Gate Brewery to London. Home of brewing experimentation and innovation, the Guinness Open Gate Brewery gives brewers a license to explore alternative recipes and bring new beers to life. It will headline The Beer Edit, the epicentre of London Beer Week. Try the latest beers on offer, many of which are not yet available in the UK, and chat through the latest exciting innovations with specialists. From the crisp, full flavoured Hop House 13 lager, to the Open Gate IPA, there will be a brew for all. Visit the Guinness Open Gate Brewery bar at The Beer Edit between 16 – 18 March during London Beer Week at The Oval Space. To kick-start the weekend celebrations, Guinness and London Beer Week are hosting a St Patrick’s Day Party with a difference at The Pickle Factory in Hackney. There’ll be great beer, live entertainment and the best street food London has to offer from KERB. Friday 17 March, tickets available here. Entry is £15 and includes a pint of Guinness. Pop Brixton is going Gaelic for a raucous St. Paddy’s Jam shindig. Partygoers are invited to slip into their greenest garments, grab a Guinness and get their jig on to a full lineup of live Irish music. Pop’s roster of food and drink vendors will be getting into the spirit with a host of themed specials (watch out for the Guinness Punch). Further to this, the S11 bar will be uniting all Patricks of London during 5-7pm with a special ‘Paddy Hour.’ All Patricks will able to claim a pint of the black stuff absolutely free. But non-Patricks won’t feel left out. Free face-painting will be on offer from 7-10pm, ensuring the crowd are adorned with the full complement of shamrocks, Leprechauns and Irish flags. Friday 17 March, free entry. Get to Piccadilly for an astounding display of flamboyant pageantry, elaborate floats, marching bands and dancing schools. London’s annual St Patrick’s Day Parade starts there, before making its way passed some of London’s most iconic landmarks. Watch St Patrick’s Day performances by West End stars, Irish acts and community choirs, plus a huge céilí on the Trafalgar Square stage, hosted by Irish stand-up comedian Jarlath Regan. Then tuck into traditional and modern Irish food from the market and enjoy special family activities for free. Additionally there’ll be art and talks at City Hall, a family adventure trail through central London, music and poetry on the Underground and much more. Born and bred Irish chef Richard Corrigan is marking Ireland’s day with a feast at his renowned seafood restaurant, Bentley’s Oyster Bar & Grill. The menu will feature the very best of Irish ingredients, many coming from his estate in County Cavan, Virginia Park Lodge. Expect to enjoy four courses, kicking off with Bentley’s rooftop smoked salmon. This will be followed by traditional St Patrick’s Day dishes of Irish stew, bacon and cabbage and Irish apple tart with Jameson Cream. The city is doubling up as a showcase for Irish cinematic brilliance. Irish Film London presents the latest and greatest of Irish cinema to a London audience. On offer is a fantastic lineup of short films, Irish features and animations for London St Patrick’s Festival. 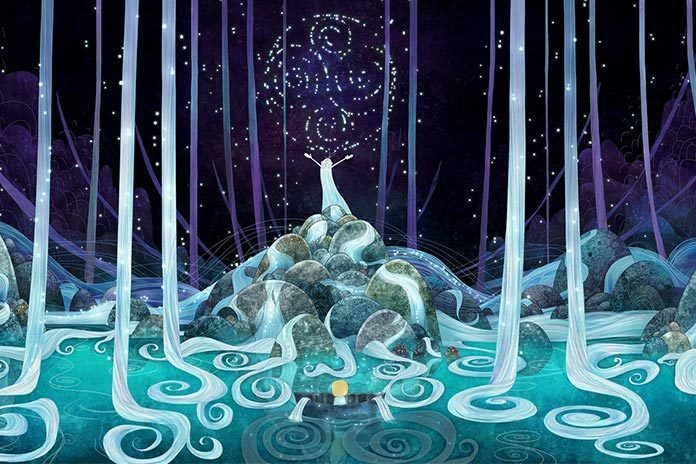 Not-to-be-missed is the Oscar-nominated, Song of the Sea. It’s a stunning animation that tells of myth, fairytale and sibling relationships. Next up in a series of guided spirit tastings, London Cocktail Club are spotlighting Teeling Small Batch Irish Whiskey. Learn about the Irish whiskey category and its unique culture and sample a range of spirits. Make your own cocktails and become a spirits history buff. You’ll get two cocktails, sample tastings and a specially curated Teeling Irish Whiskey cocktail menu to choose from afterwards. Tickets from £20, available here. Picture Marylebone are bringing London a taste of the Emerald Isle with Irish dishes and cocktails. St Patrick’s Day specials will join the a la carte offering for a week-long celebration at their critically acclaimed neighbourhood restaurant. Specials will include Lamb Stew by an Irish Man, consisting of parsley-crusted slow-cooked lamb neck with crisp lamb sweetbreads, served for two to share. To follow, Tullamore D.E.W-Infused Jellies and Irish Whiskey Fudge will offer a sweet ending with a punchy whiskey kick. Additionally, the Picture cheese board will feature Irish favourites such as Gubeen, Cashel Blue and Coolea. The St Patrick’s Day specials and cocktails will be available at Picture Marylebone between 13 – 18 March. Bookings are now open and can be made here.